The FCRA is a U.S. Federal Government legislation enacted to promote the accuracy, fairness, and privacy of consumer information contained in the files of consumer reporting agencies. It was intended to protect consumers from the willful and/or negligent inclusion of inaccurate information in their credit reports. We work on removing any and all inaccurate, outdated information from your credit reports. If the bureaus are unwilling to correct the error, we can sue the bureaus on your behalf. 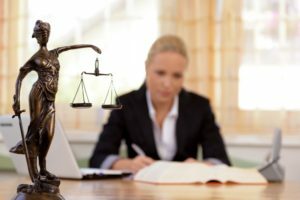 Our lawyers and paralegals band together to analyze your case and situation from all angles to bring about the best result in the quickest manner. We will work with you to determine your case eligibility and aim to clean up difficult to remove credit report errors from your credit file. If we have to sue the credit bureaus in order to correct an error on your report, you may be entitled to actual damages including emotional distress, embarrassment and humiliation (up to $2500 per uncorrected error). This service is free of charge to you and it is included on your credit repair process. 1) Identity Theft – when a client’s identity has been stolen, a lot of paperwork has to be sent out to the bureaus. If they bureaus are unable to correct the errors, they can be sued. 3) Timely payments reported as late – Some creditors have collection departments that report payments several day and sometimes weeks after receiving a payment from you. 4) Derogatory information that remains on a credit report for longer than seven (7) years. 5) Bankruptcy information that remains on a credit report for longer that ten (10) years. 6) Accounts included in bankruptcy still reporting a balance. 7) Paid or settled for less accounts still reporting a balance. 8) Creditor issued a 1099G to the consumer but the account is still reporting a balance. 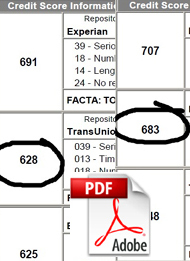 9) Duplicate entries for the same account. 10) Unknown account on credit report: Consumer has no knowledge of the account. 11) Home mortgage loans being reported as foreclosures when in fact, no foreclosure had ever been initiated by the lender. 12) Date of foreclosure incorrectly shows as much later than allowed. 13) Short sale listed as a foreclosure instead of a short sale. 14) Consumer is authorized user of another person’s credit card and report shows total balance for all users, not just the authorized user’s balance. As a result of our credit repair process, you will receive documentation from the bureaus. For every single change we make on your credit report, the bureaus have to notify you in writing. It is imperative you keep all the documentation sent to you by the credit bureaus as proof if a dispute arrives.